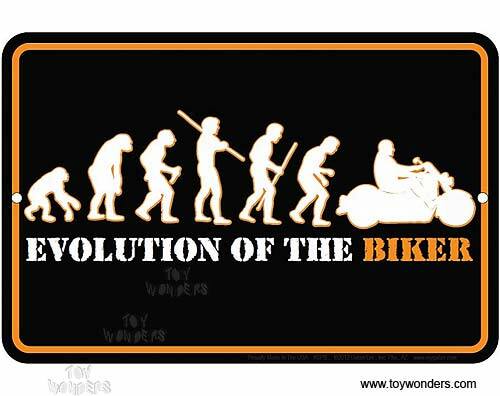 SPSEB2 Evolution of The Biker metal sign. Motorcycle Collector metal signs. A collection of yesterday's signs. Great for decorating homes, offices, restaurants, etc. Aluminum metal sign. Size approximately is 8" x 12". To see more Motorcycle collector die-cast models (click here). To see more Large Tin Signs (click here). To see more Small Metal Signs (click here). To see more License Plates (click here).